Earl joined Plantation Pipe Line (now part of Kinder Morgan) in 1988 holding various roles of increasing responsibilities in Engineering, Operations, Business Development, EH&S, and Management. 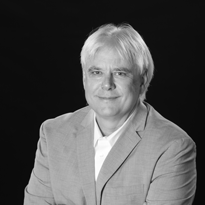 Earl is currently Director of Engineering and Operational Optimization for Kinder Morgan Terminals. He has been active in the API since 1994 including: Subcommittee of Aboveground Storage Tanks (past Chairman); current co-chair of the API 2350 Tank Overfill Prevention Committee; and several other committees. He also served on the International Liquids Terminals Association Board of Directors from 2009 to 2015, including Chairman in 2014. Earl has been a Certified APR 653 Aboveground Storage Tank Inspector since 1993. Earl has a Bachelor of Science in Mechanical Engineering (BSME) and a Master of Business Administration (MBA) from Louisiana State University. He is a Registered Professional Engineer in 3 states.